I think you know by now how much I enjoy grains and healthy foods with a little zest to them. I also enjoy a good veggie burger just as much as a beef burger, it all comes down to what I’m in the mood to eat. And what my body is telling me it wants, of course! I can remember about twenty years ago when I had one of my first veggie burgers at a super healthy eats restaurant in Sacramento out in the Sunrise area. It’s the Sunrise Cafe, and I totally forgot to go eat there when I was just in town, dang it! It’s all good though, because I remember it well and ordered that and a veggie sandwich every time I went. It was a one of kind place to eat in all of Sacramento, super hippie, vegetarian restaurant. SO cute! Then the next burger that inspired this is actual beef, but it had roasted poblanos on it and I fell in love. This place is on the way up to Mount Saint Helen’s observatory, and totally worth just going up there for the burgers and view. It sits on a small farm over looking a fairly full river, surrounded by the forest, and they know how to make food, which is the bonus! They make legit burgers, and I always order the poblano pepper burger. Every time I eat it, I think to myself that I need to make this into a veggie burger. 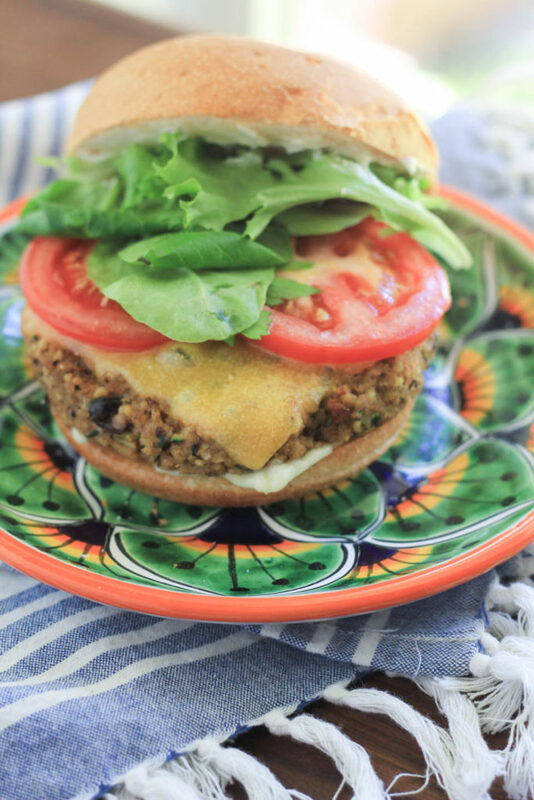 So here we are, finally an epic veggie burger with poblano peppers, mixed with Bob’s Red Mill freekeh, black beans, and tons of flavorful veggies. I chose freekeh because of how quickly it cooks, and the flavor is super nutty and meaty, perfect for a burger texture. 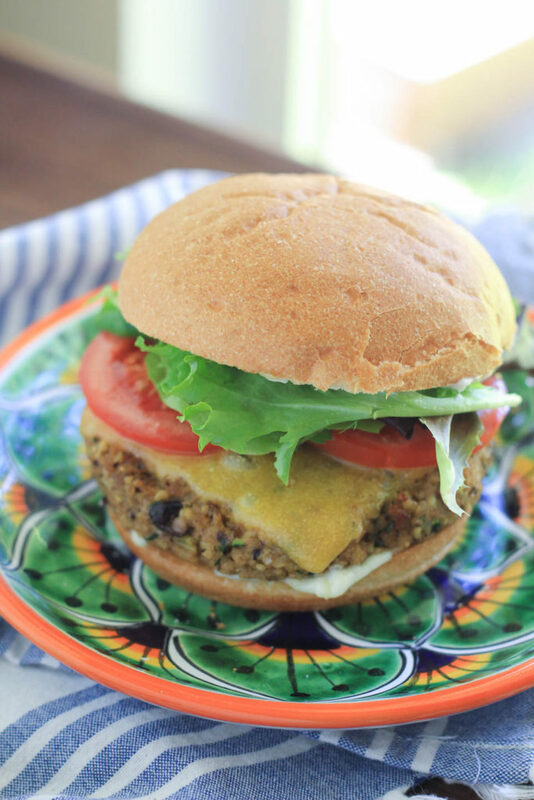 I’ve made recipes from breakfast to salads, and now burgers with freekeh, I clearly love it! I wanted to make sure to pack this burger full of nutrition and flavor, so I added caramelized onions, grated zucchini, lime, and garlic. All of these also help keeping the patty tender, moist, and keeping it’s shape when cooking. 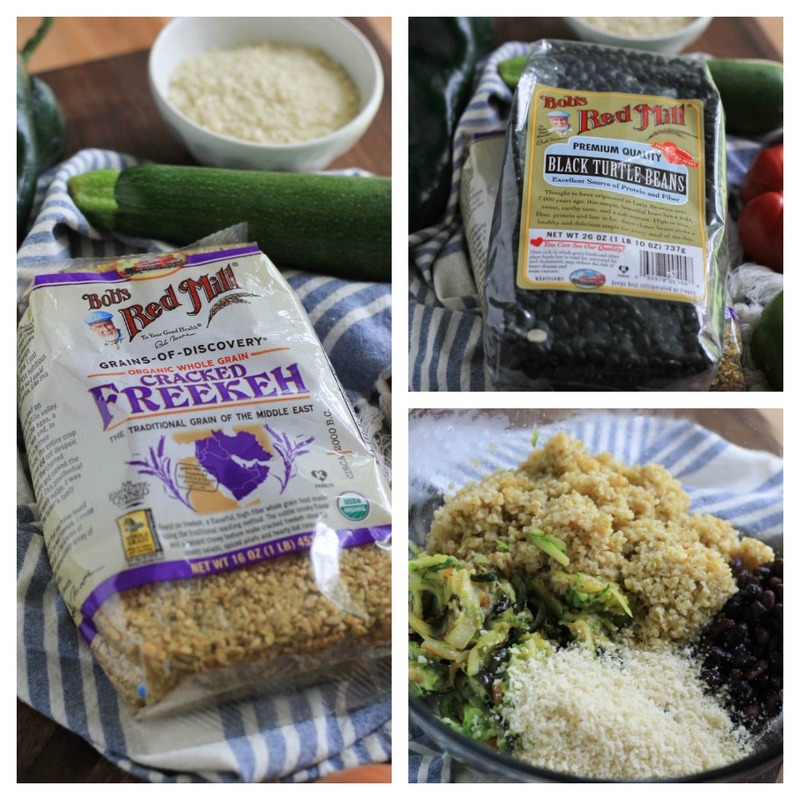 Make 1 cup cooked freekeh and 2 cups cooked black beans by following the instructions on the package. While freekeh and black beans are cooking, place 2 tablespoons olive oil in a large skillet over medium heat. Once oil is shimmering, add onion and poblano pepper, stir. Cook over medium low heat for 10 minutes, without stirring to caramelize. Stir at 10 minutes, then cook unstirred for another 10 minutes. Add zucchini, garlic, salt, and paprika stir and cook for 1 minute. Take heat off. In a blender or food processor, combine cooked freekeh, cooked black beans, onion/poblano mixture, lime juice, blend on medium until combined, but not too blended. Add mixture to bowl, add panko crumbs, use a spatula, and mix to combine. Form 4 patties about 1 1/2 inches thick and the width of your hamburger bun. In the skillet add 1 tablespoon olive oil over high heat to sear patties for 1-2 minutes on each side. Or grill outside over high heat to sear for 1-2 minutes on each side. You can add sliced cheese to melt or to bun when assembled. Assemble: Add mayo to both sides of toasted bun, followed by patty, then add sliced cheese to melt, followed by tomato slice with a pinch of salt, followed by lettuce, top with top bun. Enjoy immediately. Store leftover patties in an airtight container for up to 3 days. Or freeze patties in a sealed freezer bag for up to 3 months. Remove from freezer to allow to thaw on counter for 2 hours before heating. Or place in fridge to thaw overnight. 🙂 Each step counts to achieve restaurant style flavors at home, down to the pinch of salt on the tomato and order of ingredients on the bun. 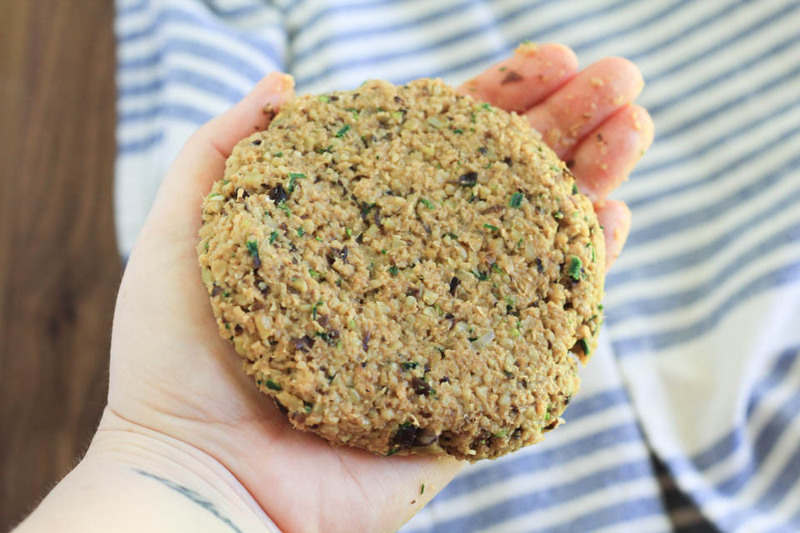 Freekeh is one of my favorite grains and I love the idea of adding it into a vegetarian burger. And the poblanos – love the flavor! What a scrumptious, meatless dinner option! I have a bag of freekeh in my pantry—perfect timing! 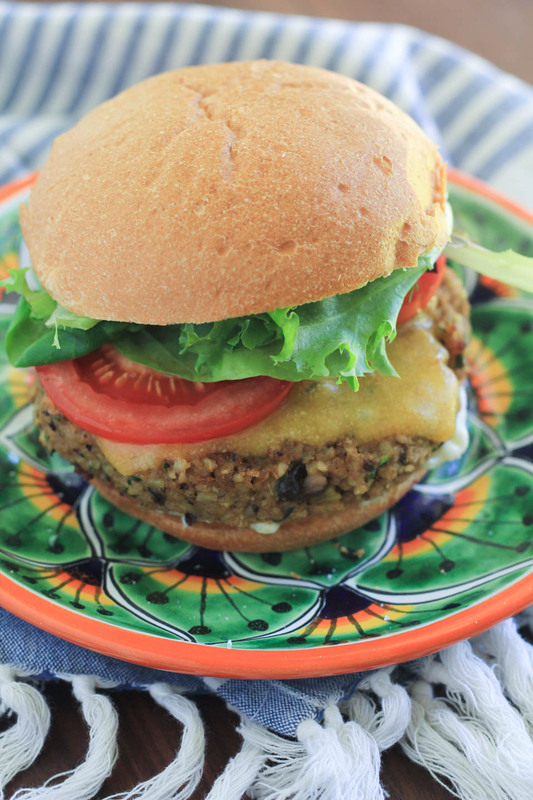 This is one good lookin’ veggie burger! !